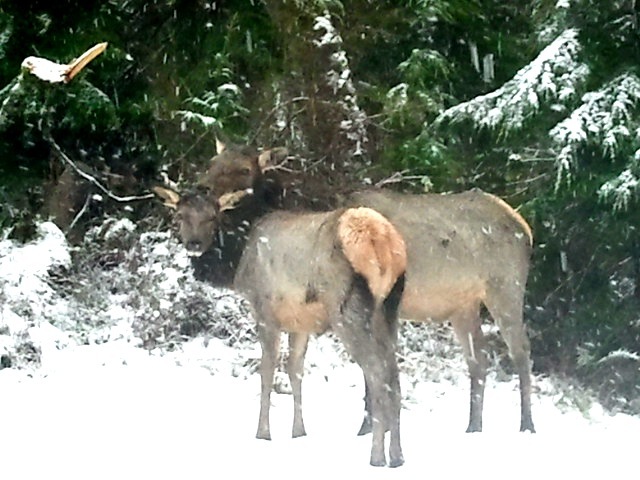 On my way into the Seattle NWF office today, I had to stop for a few minutes and watch a herd of elk chomping on their breakfast. Momma was too busy cleaning up her little one to care about the car driving by. There were about 30 elk along the road, but these two were the most photogenic. Just a normal winter morning out on the Edgewick; my parents really do live in paradise (aka North Bend, WA).